Clarification Regarding Pre Assembly Gathering and the ALICE Training. 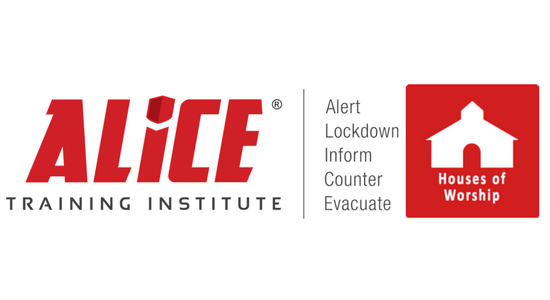 We were notified that there might be some confusion regarding signing up for the ALICE training that is being held prior to the assembly at 1:30 pm on Friday, June 8th. If you are attending the Pre Assembly Gathering, which I hope you all are, you should have indicated that when you registered for assembly. Whether that was on the paper form or electronically either is sufficient. The Pre Assembly Gathering is being held at Trinity Lutheran in Sioux City beginning at 9:30 am. Lunch will be provided, thus we need an accurate number!!! If you're not sure you signed up and are planning to attend, please call or email Julie to see if your name is on the list. The pre assembly gathering will end around 1 pm which will give you plenty of time to get to the convention center if you are going to attend the ALICE training. The trainer is adamant regarding the 1:30 pm starting time and would like everyone there when he begins!! If you are planning on attending the ALICE training, you MUST register for that Separately!!! It is not automatically assumed that if you attend the pre assembly gathering you will be attending the ALICE training!! The presenter would like to know approximate numbers of attendees so please register at the link below if you are planning to attend this important training. There is still some room for Congregations to have a table at the Ministry Fair. There will be time on Saturday evening for attendees to visit the tables and learn about the ministries happening in Western Iowa for the sake of the world. If you still want to have a table, please sign up for one by May 30th. Click here to sign up!! Send a check to the Western Iowa Synod Office or bring it with you that day, but please register.